Check out Tobi's Mara Lace Romper No LBDs needed. Prove your style cred in the sweetly feminine Mara Black Lace Romper. This trendy romper has bands of lace that offer a flattering silhouette. We love this lacey romper with high heels. Perfect for a fancy gallery opening or evening soiree. No LBDs needed. Prove your style cred in the sweetly feminine Mara Black Lace Romper. 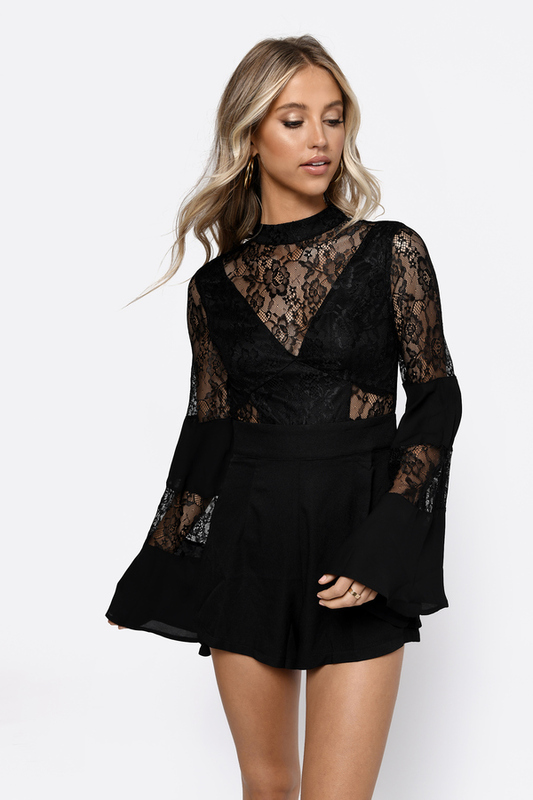 This trendy romper has bands of lace that offer a flattering silhouette. We love this lacey romper with high heels. Perfect for a fancy gallery opening or evening soiree.